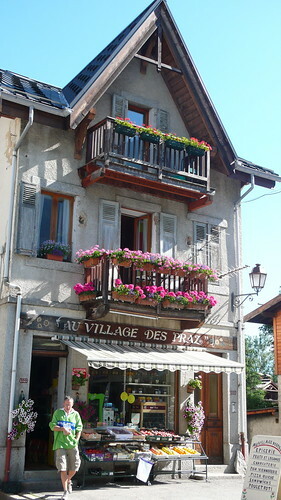 Tiny, friendly and incredibly well stocked, this small village shop has all the essentials and, as you’d expect, a good choice of saucisson and cheeses, plus seasonal vegetables and hire of raclette and fondue sets. Open from 8.30am – noon, and 4pm till 7pm, seven days a week. Ravanel Sports is very handy, right next to the Flegere lift, and has a great choice of ski equipment to hire or buy, and a workshop for repairs. Book online for 10% discount.